The year 2017 in college basketball ended with a huge bang as reports broke out that coach Aldin Ayo left the De La Salle Green Archers for the University of Santo Tomas Growling Tigers. As the impact of the news spilled to 2018, the former Letran player turned to Twitter to speak about his side on this new development. “The reason why I kept mum is because of an agreement not to disclose any information before the 1st week of January or until the school makes its official statement. I am only breaking my silence since the news has come out earlier than expected and only after getting permission,” said Ayo in a statement via the social media site on the second night of the year. He talked on the mid-season report about some La Salle supporters expressing their concerns on how he coached the Green Archers. “We have different views in handling the team. I’ve always done what is necessary,” he said. 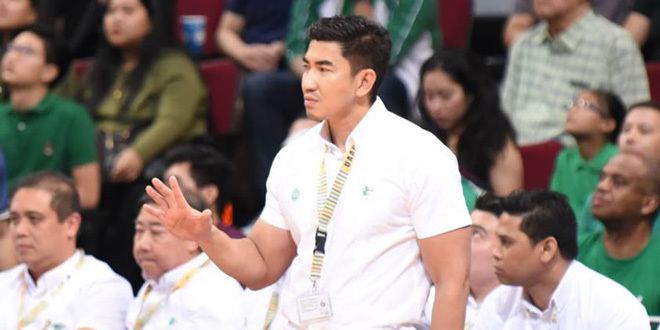 Ayo thanked chief backer Danding Cojuangco, the team officials, and the La Sallian community for their support during his stint with the Archers, who won a UAAP basketball title under his helm.